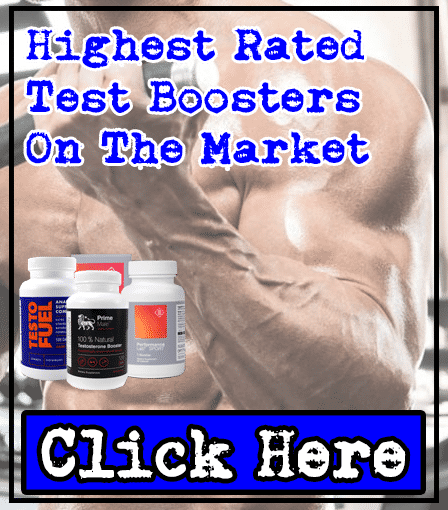 Pro Ripped MAX Review | Expert Fat Burner Analysis | Does It Work? 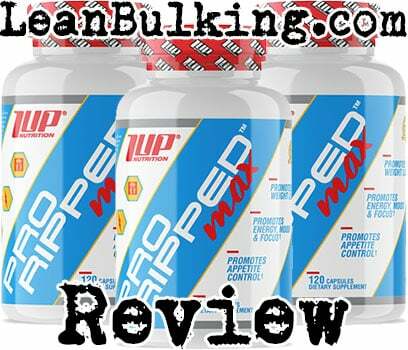 Pro Ripped MAX is a fat burner supplement made by 1UP Nutrition. It costs $54.99 for 60 serving containers, putting it towards the premium price mark. As a result, we're interested in finding out whether it contains the right ingredients (in the right dosages) for it to be worth its price tag. We'll take a look through it's supplement facts in the next section, but first, we'll try to find out more about the company behind Pro Ripped MAX. 1UP Nutrition is a USA-based supplements company founded by 2 guys; Vadim Mordovin and John Hilton. We like that they're both fitness enthusiasts and wanted to add something positive to the industry. Apart from that, we didn't find out much else from their 'about us' section, which isn't too much of a problem because you're here to learn more about 1UP Nutrition Pro Ripped MAX. 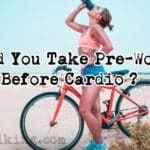 From first impressions, you can see that Pro Ripped MAX contains numerous sources of stimulants; this isn't always a positive, as consuming too many stimulants can lead to you suffering from jitters and energy crashes. So, this fat burner isn't for those with a low tolerance for stimulants. However, as you can tell by its name, we don't believe that Pro Ripped MAX is aimed at these people. If you're interested in this product, then we're assuming you're the kind of person who consumes 5+ black coffees per day and needs a serious kick of caffeine to feel any 'boost'. However, one slight issue we have is the lack of thermogenic nutrients (such as Cayenne Pepper Extract) in 1UP Nutrition's Pro Ripped MAX. We personally would have preferred to see more thermogenics added here, but we're also not here to complain and criticize this fat burner. Anyway, we'll take you through each ingredient in Pro Ripped MAX. By the end of this review, you'll have a good idea of how safe and effective this fat burner really is. The supplement facts for Pro Ripped MAX by 1UP Nutrition. This blend contains 3 different sources of caffeine: Caffeine Anhydrous, DiCaffeine Malate and Caffeine Citrate. The good news is that this isn't a proprietary blend, so 1UP Nutrition has shown you the exact dosages of each caffeine source here. This is something we will praise, as too many companies include unknown dosages of stimulants in blends (which can lead to people consuming large dosages of caffeine without knowing, ultimately leading to jittery side effects). Now, the overall dosage of this Caffeine Complex is 212.5mg. We've already mentioned that Pro Ripped MAX contains numerous stimulants in a fairly big overall dosage. But as 1UP Nutrition has shown you the exact dosages, we can't complain - you know what you're putting into your body with this fat burner. As the overall dosage of all the 3 types of caffeine is 101.25 per capsule, this isn't bad at all (around less than a cup of coffee). So the problem is not here for us. Our personal issue is that Pro Ripped MAX contains even more stimulants, which we'll go through further down in this section. In case you didn't know, Eria Jarensis is an ingredient that's believed to deliver similar effects as a stimulant. As a result, it has been linked with such side effects as jitters and anxiety in the past. 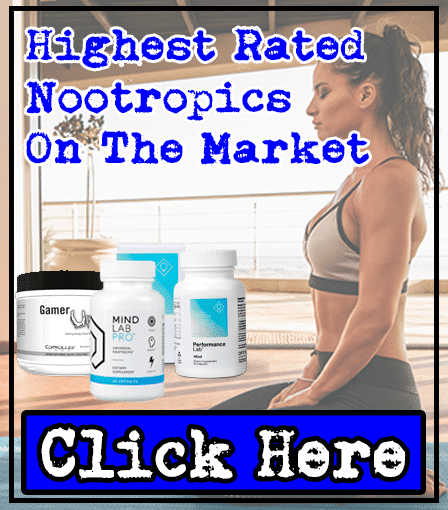 In our honest opinion, there simply hasn't been enough human research conducted on Eria Jarensis to make it a reliable addition to a fat burner supplement. As a result, we'll admit that we prefer tried-and-tested thermogenics such as Cayenne Pepper Extract. But, we do respect 1UP Nutrition for taking risks and adding in less commonly added nutrients into Pro Ripped MAX. Anyway, the other stimulants in Pro Ripped MAX are; Theobromine, Higenamine, Hordenine and Rauwolfia Vomitoria Extract. As you can see, there are a lot of stimulants there. But the good news is that they haven't been added in individual dosages above 70mg. So, the target audience should still be safe consuming this fat burner. 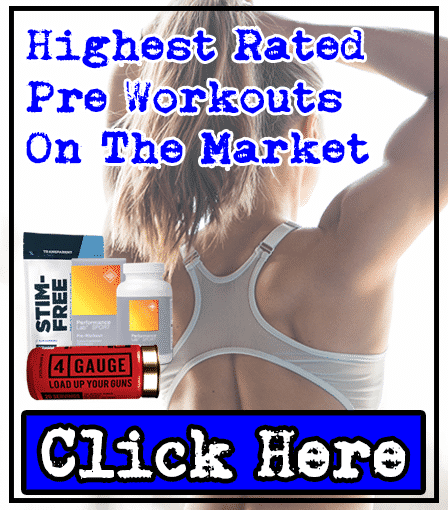 Ultimately, as we mentioned, you're only going to be interested in Pro Ripped MAX if you're really wanting a BIG 'kick' from a fat burner supplement. So, we're not going to complain about this. 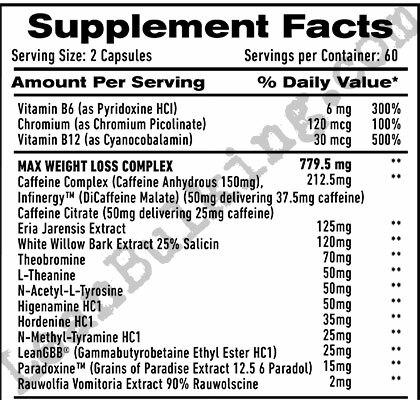 But, at the same time, this does contain the same (if not more) stimulants than pre-workout supplements. Not only that, Rauwolfia Vomitoria Extract has been linked with numerous side effects by past users. So, we do wish that this ingredient had been left out of Pro Ripped Max. L-Theanine is a great addition to a pre-workout or nootropic supplement; this is because it's able to provide calming effects and improve your focus. In fact, it even works in synergy with caffeine to improve your focus (as it forms a 'smart-caffeine'). So, it's clear that 1UP Nutrition has done their research here. However, for us, there is simply too many stimulants for L-Theanine's calming effects to save us. But, for those that are very tolerant to stimulants, this is a nice addition. This is a tricky one. L-Tyrosine is amazing in pre-workouts and nootropics because it's proven to boost your focus and cognition in general. 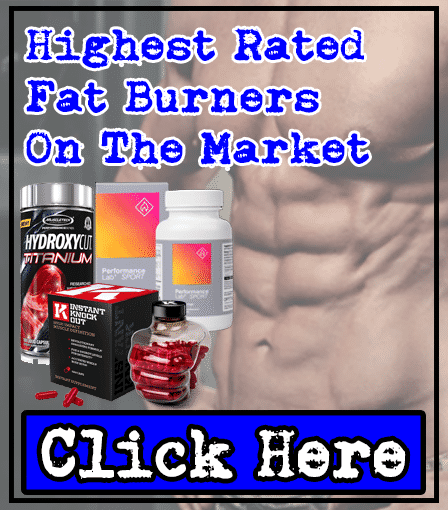 However, for the purposes of a fat burner, it's not really necessary; it's not really shown to be beneficial for fat loss, especially compared to thermogenic nutrients. Ultimately, you can consider this as a good 'bonus' addition. But it's certainly not a key ingredient in Pro Ripped Max. We'll be honest, we don't know much about this ingredient. There haven't been many studies conducted on N-Methyltyramine, so it's hard to say whether it's 10% reliable (in our honest opinion). However, one thing we did find out is that it's banned from competitive sports. As a result, you want to avoid this ingredient if you are a competitive athlete. For those that don't know, LeanGBB is a precursor to L-Carnitine. It's actually linked quite heavily to fat loss, so again, this is proof that 1UP Nutrition has done their homework. Not only that, LeanGBB has shown to provide many other health benefits too. So, this seems like a perfect addition to any fat burner and you'll probably see this in more supplements in the future. 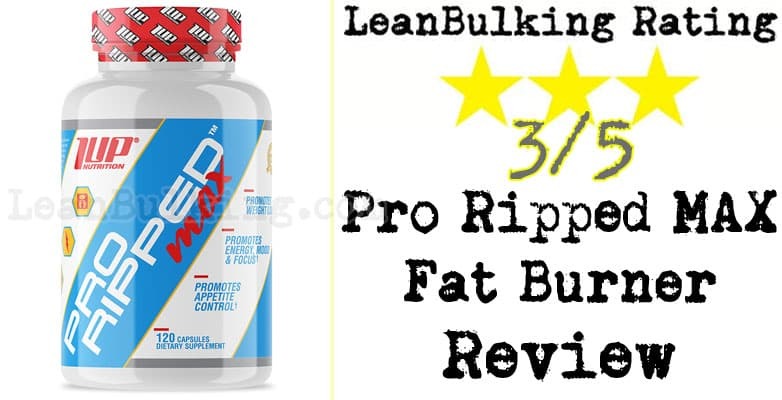 We've mentioned that we wished Pro Ripped MAX contained Cayenne Pepper Extract in this review. Well, Grains of Paradise is a 'spice' that's believed to deliver similar thermogenic effects. What is it? It's a spice that's been commonly used in African cooking for a while now. It's fairly recently been added to supplements, so there haven't been as many studies on this as capsaicin, but it looks very promising. Again, we're impressed that 1UP Nutrition has chosen less know nutrients that are believed to work. It's great to see. This is the section where we'll take you through whether Pro Ripped Max can cause side effects or not. 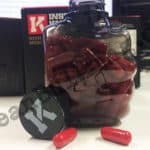 All in all, we can see what 1UP Nutrition has tried to create here; a fat burner for those that want a bigger 'kick' of stimulants than the average person. It does pretty well for that, as you can see from its supplement facts. We also like that 1UP Nutrition has included some lesser known nutrients such as LeanGBB and Grains of Paradise. It's great to see the supplements industry progressing and looking for new alternatives to topple the older nutrients that have been around for decades. However, a few issues that we personally have is that Rauwolfia Vomitoria and Eria Jarensis Extract can cause numerous side effects (as has been reported by past users). As a result, we do wish that these ingredients had been left out. 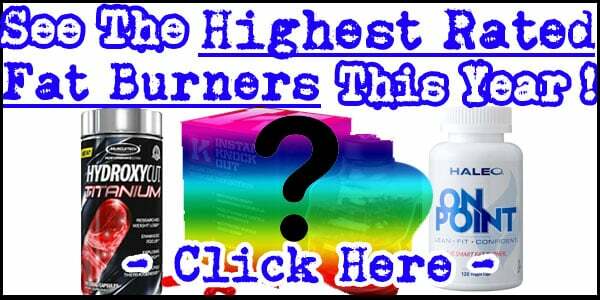 Check Out The Best Fat Burners Available!